The 2018 IPI Conference & Expo, June 3-6, Orlando, Fla., is the world’s largest educational and networking event for parking and transportation professionals. Each year, attendees gather to learn about the latest innovations in parking and network with industry leaders from around the globe in an effort to advance and strengthen the parking industry. 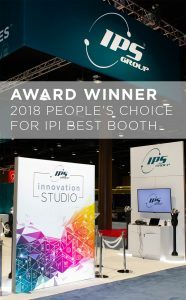 For the second year in a row, IPS Group was recognized with the IPI People’s Choice Award, a designation that is given to just one out of more than 250 exhibitors. On Wednesday, June 6, a panel of criteria judges awarded IPS with the People’s Choice Award. The prestigious honor is given to the booth that displays the most uniqueness, effectiveness of marketing, message, and creativity. One of the highlights of this year’s booth was the newly unveiled Innovation Studio. IPS invited visitors to “See the future of Smart Cities through the lens of IPS Group,” through interactive demos of IPS Smart Parking applications. The Studio offers users a glimpse into the future of Smart Parking, including the industry’s first augmented reality parking application. As the leading trade association for the parking industry, IPI brings together the largest players in the parking and transportation industry each year and recognizes outstanding innovators. 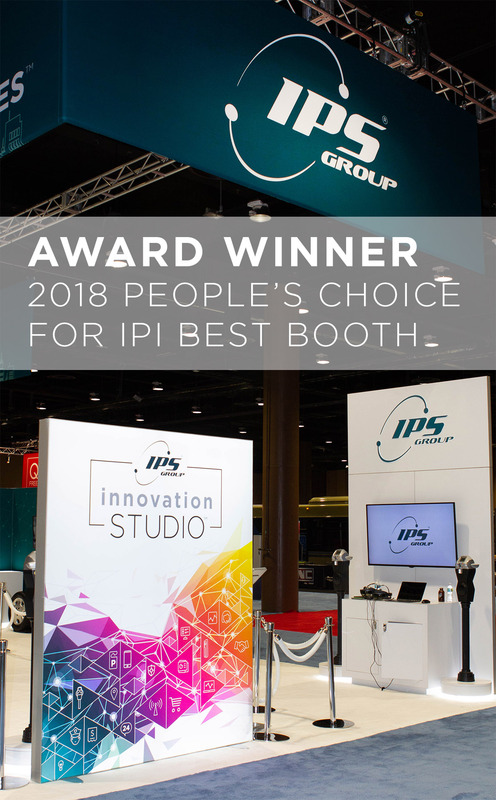 IPS is proud to be the first in the industry to present the AR in a parking application proof of concept and is honored and humbled to receive the 2018 IPI People’s Choice Award. More information on IPS Group’s award-winning products can be found here.